Fall in New England's Adirondacks Park is truly spectacular. 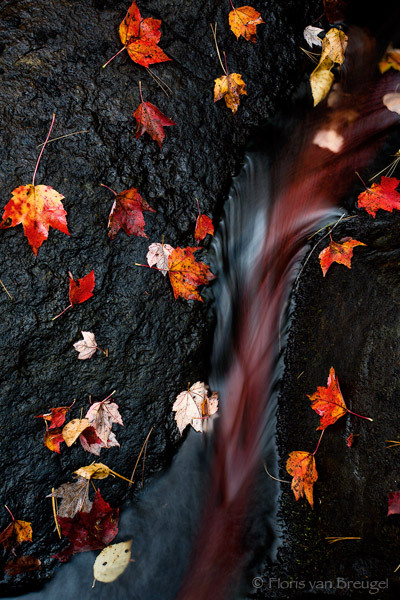 The moist environment allows the abundant maples to turn bright red in autumn. The leaves of course gently drift the the forest floor, seen here in contrast with a stream bed.